Wednesday’s National Green Tribunal order imposing environment compensation charge ranging from Rs 500 to 1000 on polluting vehicles entering Delhi is as good as ‘null and void’ with the Supreme Court today, in a surprising decision, stating that it would issue orders on the same issue on Monday. Significantly, the bench headed by chief justice H L Dattu also said: “Our orders will supersede orders passed by any other court or tribunal. Once we issue directions, you should immediately notify it and specify that they were backed by our order”. 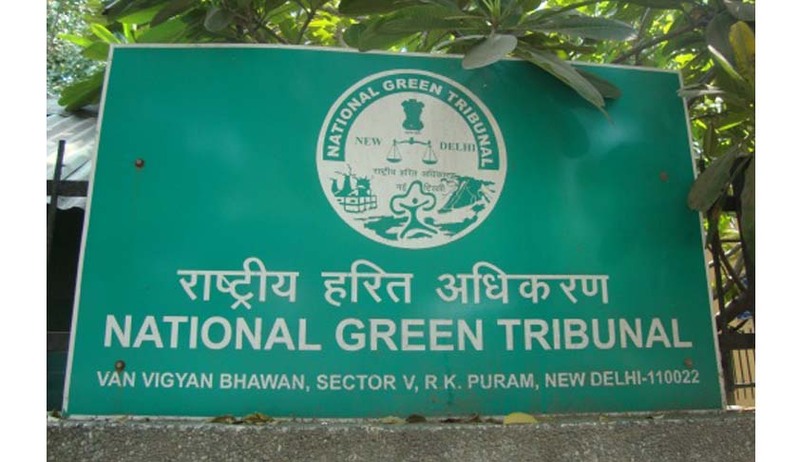 The bench said its order would override NGT’s after senior lawyer Dushyant Dave representing Delhi government said it was essential to avoid any confusion in view of greens court’s directions earlier. The SC stand was on expected lines after Dave and senior lawyer Harish Salve, the amicus curiae in the case had yesterday questioned the jurisdiction of the NGT in passing such orders especially when the apex court was seized of the issue and was set to pass orders in a day. CJI Dattu had then called for a copy of the tribunal judgment. “The NGT’s jurisdiction is under question. They have nothing…no powers to pass such directions..Only the supreme court can pass such an order”, Salve had said. After perusing suggestions forwarded by Salve, the court hinted that it would impose pollution charges at the rate of Rs 700 for light vehicles (NGT imposed Rs 500) and 2 axle trucks and Rs 1, 300 (NGT imposed Rs 1,000) for 3 axle trucks and 4 axle trucks and above. It is to be noted that the SC had on its own summoned a copy of the NGT order and made modifications without any party filing any petition challenging the green court’s order. The bench said its order would be valid for four months during which it “will be put on trial” and stake holders may approach the court for modification later on if they found any short coming. It may also exempt passenger vehicles, mini vans, ambulances and trucks carrying essential commodities (food grain, milk vegetables and fuel) from paying the extra tax. It all began on October 6, when the CJI noting that Delhi’s pollution levels had touched alarming heights and even his grandson had begun wearing a mask, favoured imposition of pollution compensation tax on nearly 60,000 vehicles, the bulk of them trucks, entering Delhi which spewing noxious fumes while passing through the national capital. It was suggested by Salve after going through a report of SC-appointed SC-appointed Environment Pollution Control Authority (EPCA). In its three orders in February, March and August 2005, the court had ruled that no corridor joining different highways should pass through Delhi. Subsequently, the apex court had directed construction of Western Peripheral Road also known as Kundli- Manesar-Palwal Expressway and Eastern Peripheral Expressway to take the non-destined trucks away to decongest Delhi. EPCA has been monitoring progress in the above directions and has brought the matter of delay and non-implementation of the directions to the court. The court, driven by concern for growing pollution, had passed orders and directed for expeditious completion of the expressway. EPCA had been repeatedly bringing the matter to the attention of the court and also looking for alternative strategies to control truck traffic which gave birth to the idea of pollution compensation tax.